We love seniors and youngsters, alike. Pets are important family members. Welcome to Memorial Town & Country Animal Clinic! Pet Emergency? Call us right away or the Emergency Clinic VERGI at 713-932-9589! Memorial Town & Country Animal Clinic is a progressive animal clinic that was created with the ever growing needs of our clients and patients in mind. 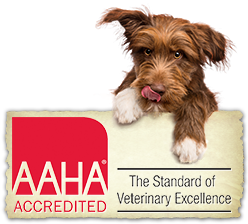 The facility has been a member of the AMERICAN ANIMAL HOSPITAL ASSOCIATION (AAHA) since 1969, which requires a veterinary hospital to meet strict, high quality standards. Owner Dr. John M. Brasher is a highly qualified Texas A&M graduate with outstanding experience and reputation. 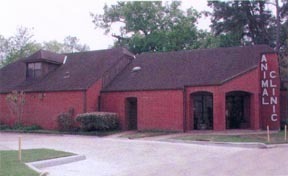 He has been in practice in the Memorial area of Houston for over 30 years. Associate veterinarian Dr. Mark Peterson also attended Texas A&M. In recent years, he has spent most of his efforts working with small animals and has studied the use of ultrasound to diagnose problems and continues to seek more in depth studies in the field. Also in clinic are veterinarians Dr. Karen Edwards, graduating in 1979, and Dr. April Inman, graduating in 2007. Both from Texas A&M. The clinic is equipped to offer many modern diagnostic services including ultrasound, radiology, electrocardiography (EKG), and in-house laboratory bloodwork. Once a diagnosis is made, we are staffed to meet most surgical and medical needs. New, for your convenience, we offer an online pharmacy for items such as heart worm and flea prevention, special diets, and many other products. Click on link on this page. We strive to offer first quality veterinary care. The well being of our patients is top priority. Our caring and knowledgeable staff are available to give your pets the time and attention they need.